I’m sorry if I bored you with this kind of analogy before, but I am a cyclist and we tend to be a bit evangelical about our sport. You might think that cycle racing is a self-centered sport where the person finishing first gets all the bragging rights. In fact, many races are team events. For example, the Giro d’Italia is the first of three grand tours to be held each year. In the General Classification (GC), teams of nine athletes work together to try and ensure that their team leader is on the top step of the podium at the end of three weeks, 21 stages and 3467 kilometers of hard riding (in 2016). But every day of the grand tours there are two races; one for the day’s stage and one for the GC. For me, some of the most exciting racing is when a breakaway group of riders gets out on the front of the race for their day in the sun. Something interesting happens; the bigger, stronger teams all start working together to bring the breakaway back. At the same time, the breakaway group which is likely to be made up of riders from different (usually smaller) teams, forms a swift alliance and starts collaborating to give themselves a chance to win the stage. I can’t think of many sports where you make friends with your opponents for the benefit of the race itself, the racers and the sponsors. 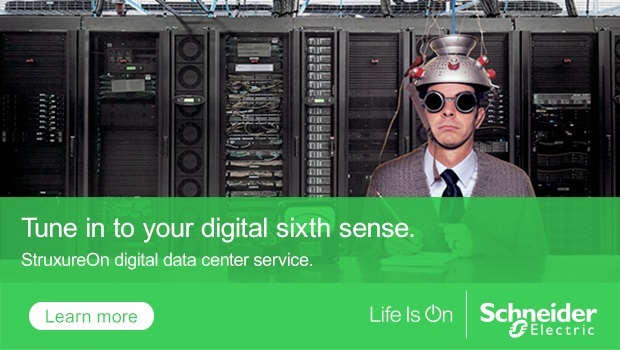 I was thinking about this the other day when I was asked why a data center manager might want to start to provide data collected from the physical layer of his or her facilities to a third party like Schneider Electric. The glib answer, the one we might like in marketing is simply that the more data we gather, the more analytics we can provide and therefore the more value we can deliver back to the customer. Based on the data, the customer gets access to lots of information which can help optimize facility performance and extend the lifecycle through, e.g., proactive maintenance. Which all sounds great and leaves me wondering why a queue isn’t already forming at the door to the software lab to take advantage of better mousetrap we’ve managed to deliver. But there’s the catch; who’s going to move first and how do we get some momentum for such a service? Like ripples in a pond, as value is provided, trust is forged between the user and service provider. But we have to start small. When it was first introduced, the value of contactless transactions was limited to a small amount – 10 euro – to minimize the risk and build faith that the system was trustworthy. As the relationship grows and the service provider is trusted with more data, so the customer gets even more value. It becomes a virtuous circle. More customers providing more data means that the whole ecosystem starts to benefit because the dataset becomes more comprehensive, the sample size is greater and therefore the guidance becomes more accurate and even more useful. Of course, the idea of sharing data opens a whole can of worms, from the ubiquitous cyber security threats which have become grist to the mill for commentators on the IOT, to the issues of privacy which are being dealt with by, e.g., the new EU General Data Protection Regulation (GDPR) legislation. We want to avoid that, so we are talking about data which is related to equipment not private individuals. A company could start by providing data (using encryption) from a single device. Data which is abstract, gives away no secrets about its source and has no particular value to anyone malicious. Yet which could be leveraged to bring great benefit to the data center industry, from cutting energy costs and carbon footprint, to providing more efficient and reliable, better operated facilities. Doesn’t that sound like a worthwhile output from a bit of collaboration? One of the good opportunity for such benchmarking is energy consumption. With our product NUVEA, we’re working more precisely on the fraction of energy explained by IT load, its pattern and variations. We see interest in collaboration/benchmarking across DCIM customers on this field – think server mutualization, decentralization, consolidation – for opex and capex optimization. You may have seen our slides (send through French SE team) or publications, but we’re happy to tell you more on what we have achieved and what we want to do next. But it’s really about sharing more to get more ! To Thrive in the IoT Era, Colocation Providers Must Drink Their Share of IoT Champagne Wiser Air EcoIQ: Game-changing Technology for Customers and Utilities Alike Changing the Market: Hill Country Telco Opens Data Center Are DCIM-based Cloud Offerings a Game Changer for Data Center Management?